Professor Alan Lau In 1987, Dr Lau joined the Hong Kong Aircraft Engineering Company Ltd (HAECO) where he was employed as a craft apprentice in the aircraft maintenance division for 4 years. He received his Bachelor and Master degrees of Engineering in Aerospace Engineering from the Royal Melbourne Institute of Technology (RMIT University, Australia) in 1996 and 1997, respectively. Within that period, he also worked for General Aviation Maintenance Pty Ltd, Australia, as an Engineer Trainee, and for the Corporative Research Centre for Advanced Composite Structures (CRC-ACS) Australia, as a Research Assistant designing a repair scheme for composite performs. He received his Doctor of Philosophy (PhD) from The Hong Kong Polytechnic University in 2001. Thereafter, he was appointed Assistant Professor in 2002 and promoted to Associate Professor and Full Professor in 2005 and 2010, respectively. In 2013, he was appointed as Associate Dean (Industrial Relations) of the Faculty of Engineering and Alex Wong/Gigi Wong Endowed Professor in Product Design Engineering. Professor Mattheus (Theo) F. A. Goosen has played key roles in the development of new start up academic institutions. For the past nine years he has held the position of founding Associate Vice President for Research & Graduate Studies at Alfaisal University a private start-up non-profit institution in Riyadh, Saudi Arabia (www.alfaisal.edu). The doctoral degree of Dr Goosen is in chemical & biomedical engineering from the University of Toronto (1981) Canada. Theo has more than 180 publications to his credit including over 137 refereed journal papers, 45 conference papers, 11 edited books and 10 patents. His h index is over 48 and he has well over 9000 citations on Google Scholar. On Scopus he has over 137 publications with over 4500 citations. Dr Goosen’s research interests are in the areas of renewable energy, desalination, sustainable development, membrane separations, spray coating technology and biomaterials. 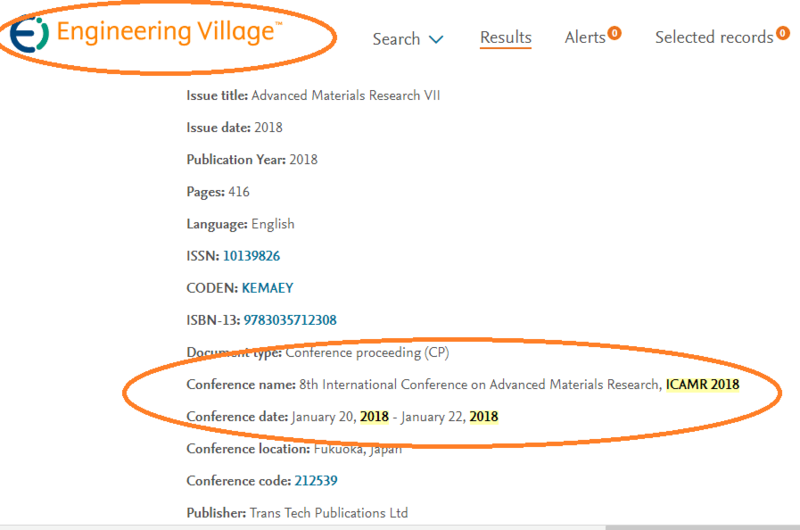 ABSTRACT: The utilization of advanced materials in renewable energy technologies is indispensable to meet the rising demand for applications such as water desalination. Nevertheless, the growth of renewable energy sources to run commercial processes at a larger scale is hindered by technical, economic, regulatory and environmental challenges including new material development. This critical review focusses on integrated approaches in using renewable energy such as solar and geothermal technologies for water desalination. Advanced materials research plays a crucial role in these areas. Innovative and sustainable processes which are suitable for renewable energy systems are also presented, along with the benefits of these technologies and their limitations. The market potential, environmental concerns, regulatory & socio-economic factors are likewise evaluated as well as the need for accelerated development of renewable energy-driven technologies. Prof. Alfred A. Christy obtained his primary and secondary education from St. Patrick"s College Jaffna. He entered the then University of Ceylon (Peradeniya) and obtained a Bachelor degree in Chemistry (B.Sc., University of Peradeniya, 1976). The first position held by Professor Christy was as a Demonstrator/Assistant Lecturer in Chemistry at the University of Jaffna in Sri Lanka (1976-1977). He then moved to Nigeria, where he worked first as a teacher and then as senior master in Chemistry at a local college (1977 - 1983) in Ondo State, Nigeria. He then moved to Bergen, Norway. In Bergen, he commenced furthering his education at the University of Bergen, while acting as a teaching assistant (1983-1987) and then as lecturer at the Department of Chemistry (1987-1991). He was awarded a master degree in Physical Chemistry in 1987 and Dr. Scient. Degree in 1990. He then worked first as a research Scientist (1991-1992) and later as a laboratory manager/research scientist in the FT-IR laboratory he built up at the department (1992-1998). He assumed a professorship in Chemistry at the Department of Chemistry, University of Agder in 1998. Professor Christy has accumulated an impressive list of scientific achievements during his career. 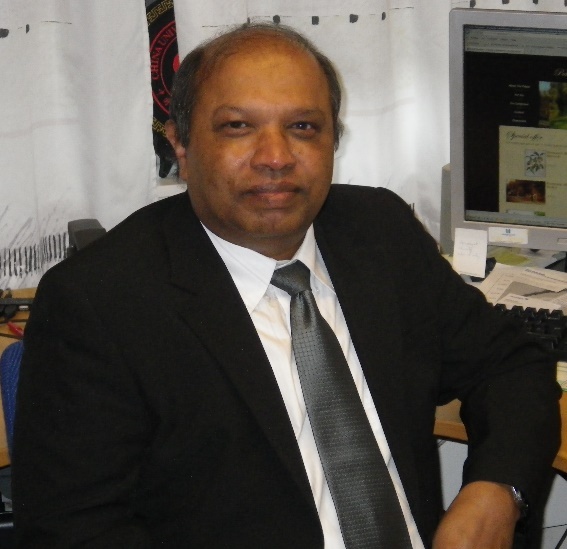 He has published over 100 papers in scientific journals and presented more than 90 lectures at conferences, institutions of higher learning and industrial establishments around the world. Professor Christy has authored several book chapters and reports. He co-authored a book entitled "Modern Fourier transform Infrared Spectroscopy" (A. A. Christy, Elsevier-2001). He has also been a co-editor of a second book "NIR spectroscopy in Food Science and Technology" (Wiley, 2006). The breadth and depth of this work is well seen in the fact that Professor Christy has acted as a referee for some 25 different International Journals across a wide spread of disciplines related to chemistry. Professor Christy's international standing earned him respect in his discipline and this fact is clearly reinforced by his appointment in the "Research Proposal Reviewer" for the National Science Foundation-Division of Earth Sciences, Instrumentation and facilities Program, USA. Furthermore, Professor Christy has been included in the "Marquis who's who in the world" and several other directories from 1991onwards. He has also received several awards such as "Man of the Year 1994", "20th Century Achievement Award (1995)" and several other honours such "Five hundred leaders of influence in the world". Prof. Christy chaired the “First Scandinavian Conference on Fourier Transform Infrared Spectroscopy” in 1994. Since then he has been in the steering committees of several international conferences in Chemistry and material science. Prof. Christy has also been involved in International education as a Consultant & Co-ordinator for students in Norway, training Science teachers in Uganda on behalf of U.N.; serving in the scientific Committees for evaluating PhD theses from Universities in Pakistan and as an adviser and visiting professor at the University of Petroleum (Beijing) and Thammasat University in Thailand to name a few. Prof. Sung-Hoon Kim is a renowned chemist and materials engineer who has largely influenced his field and directly aided in the development of new chemical synthesis methods and novel nanomaterials. Dr. Kim received a Ph.D. in Chemistry in 1993 from Seoul National University in South Korea. Additionally, Dr. Kim went on to earn another Ph.D. in Advanced Electronics & Optical Science in 2005 from Osaka University in Japan. From 1988 to 1998, he was a Senior Researcher in the New Materials Laboratory of Samsung Advanced Institute of Technology (SAIT). In 1996, he was also an Adjunct Research Associate in the Materials Research Laboratory of The Pennsylvania State University in the United States. Dr. Kim’s experience also includes being a Visiting Scientist in the Division of Advanced Electronics & Optical Science at Osaka University in 2000 and 2001. Subsequently, he worked as a Researcher/Ronpaku Fellow at Osaka University from 2001 to 2005. Dr. Kim was also a Visiting Scientist in the Department of Materials Science & Engineering at North Carolina State University in the United States from 2001 to 2003. 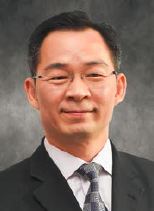 Since 1998, Dr. Kim has been a Full Professor in the Department of Engineering in Energy & Applied Chemistry at Silla University in South Korea. He is now the Director of Industry-Academy joint Small Bussiness Center in Silla University. Dr. Kim’s career is marked by a multitude of pioneering contributions to the field of chemistry and materials, specifically in the areas of diamond thin films and carbon nanomaterials. Dr. Kim has not only developed novel methodologies to produce diamond thin films and carbon materials, but he has revolutionized their application in electronic products. For instance, he took advantage of the lubrication properties of diamond-like carbon (DLC) films to improve VCR heads. DLC components behave as lubricant components that protect the VCR film. Dr. Kim patented this astounding application of diamond-like films in Korea, Japan, and the U.S. The electronics giant Samsung incorporated his diamond-like film technology to its Samsung VCR Head, which became the commercially successful Samsung Diamond Head VCR. 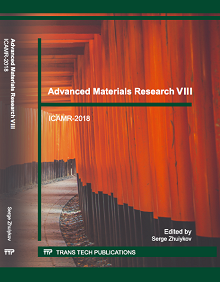 ABSTRACT: The formation of the carbon nanocoils-carbon microcoils (CNC-CMC) hybrid materials, namely the formation of the numerous carbon nanocoils (CNCs) on the surface of the carbon microcoils (CMCs), could be achieved using C2H2 as the source gas and SF6 or CS2 as the additive gas in a thermal chemical vapor deposition system. During the reaction, SF6 or CS2 was injected into the reactor in modulated on/off cycles. The CNC–CMC hybrid materials were not observed without the on/off cycles of SF6 or CS2 flow. When we varied the number of the on/off cycles, the density of CNCs formed on the surface of CMCs increased with increasing the on/off cycle number. The cause for the difference in CNC–CMC formation with cycle number was investigated. Based on the results, a growth mode of the CNC–CMC hybrid materials was proposed. Composites of CNC-CMC hybrid materials in polyurethane (CNC-CMC@PU) and CMCs in polyurethane (CMC@PU) were fabricated. The CNC-CMC@PU composites showed the higher shielding effectiveness than those of CMC@PU composites, irrespective of the mixture ratios of carbon nanomaterials in PU. Based on the resulting shielding effectiveness and the electrical conductivity values we conclude that the formation of the CNC-CMC hybrid materials can enhance the shielding effectiveness through the reflection-based mechanism as well as the absorption-based mechanism. 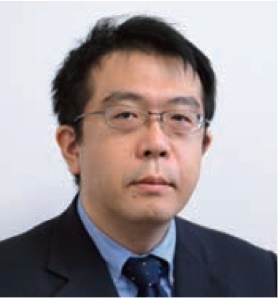 Prof. Takahiro Ohashi is Head of Mechanical Engineering Department at Kokushikan University. He is one of reprehensive delegates of Japan Society of Technology of Plasticity from 2016 to now, and he is the board of trustees of Association of Aluminum Forging Technology in Japan. He was experienced in directing 3 research teams of Digital Manufacturing Research Center of National Institute of Advanced Industrial Science and Technology (AIST).